This was extremely clever, and a pivotal moment in the development of common law. Remember the pyramid of land holding and obligations? William decreed that, instead of relying only oaths, he would personally enforce property rights as owner. In the past, if a dispute arose between two property holders, they (and allies) settled it themselves. As owner of the land, though, William promised to use his armies to make sure that those who swore fealty honoured their oath. His superior right of ownership would let him enter land and end the dispute. Although you might suspect that English lords were offended when the king said, "Your land is now owned by me," it wasn't really too different than what they already knew. While William owned the land, land holders would still enjoy most of the rights they had before. For those already high on the food chain, this was a good deal: As long as they kept their oaths of fealty to the king, they didn't have to worry about those underneath them. The king would back them. For William it was political gold, because, as owner, he could reassign property. Just like a landlord can evict a lousy tenant, the king could "evict" a rebellious baron or earl. If you were the king's friend, and I was the king's enemy, the king could simply turn to you and say, "Kent's lands are now yours. If you need my help removing Kent, I'll gladly send in my troops." Now, I would be lying if I suggested that everyone was immediately happy with this arrangement. 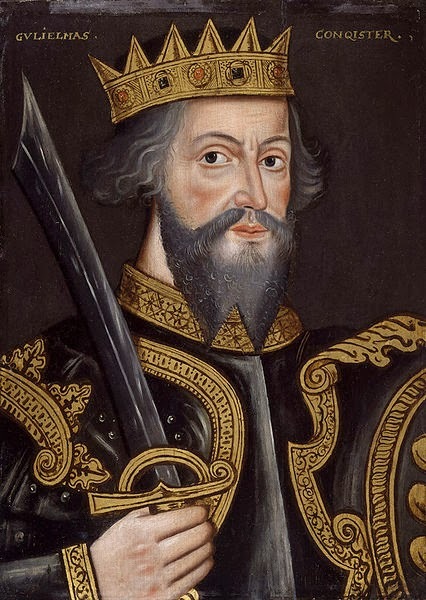 But William became Duke of Normandy at age seven, and by the time he took the English throne, he had lived through three murder plots and had 31 years' experience putting down rebellions in France. Those lords who didn't like the new arrangement faced William's sword and having their lands divided among William's supporters. Editors Note: Just like the Kings of old, planners want to diminish the rights of private property rights in favor of regional planning and central government. This is at odds with our Constitutional liberties and a dangerous trend for democracy. WHO BENEFITS FROM OTHER PEOPLE'S TRANSIT USE?